Century Cycles Blog: Say Hello to your local Liv Ambassador! The Liv Ambassador Program is extended to women across the country seeking to develop the women’s cycling community through the Liv Cycling brand and their local Liv retailer, Century Cycles. These women act as a liaison of the Liv brand in their region and will lead rides, give informational clinics, and act as a go-to resource for Liv and general cycling-related information. Please meet your Liv Ambassador, Deltrece Daniels! 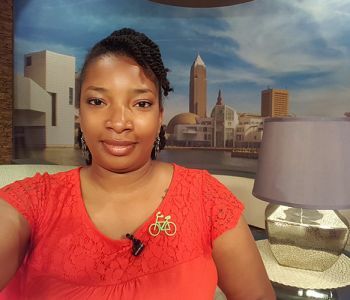 You may recognize Deltrece from her day job as the Outreach & Membership Manager for Bike Cleveland! Her favorite bike is her Liv Avail road bike. Her favorite place to ride is the Western Reserve Greenway rail-trail in Ashtabula County. Her must-have cycling accessory is a bike lock. When she's not riding, she's busy planning routes for her next ride. Her life goal is to ride her bicycle in each of the 50 states in the USA, and abroad in Africa.